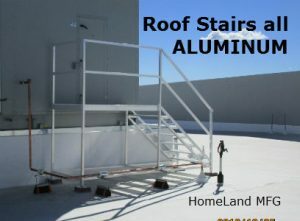 Aluminum Platforms, any Length or Width. Fast Delivery. 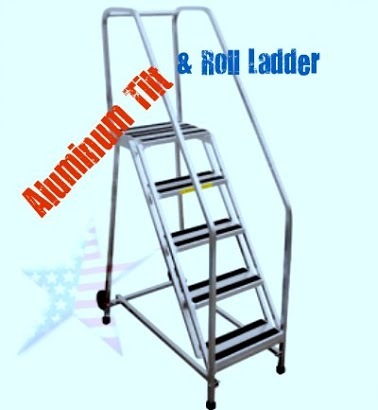 ALUMINUM PLATFORMS, tilts and rolls and is the lightweight version of our safety rolling ladders. 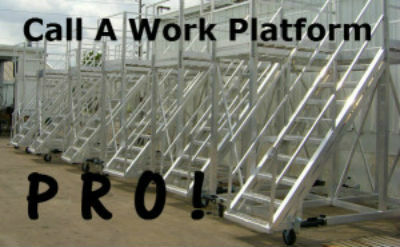 We also build Aluminum Platforms that are stationary. 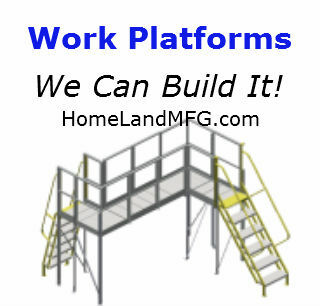 We can build to your design or concept too. You are buying DIRECT. Aluminum Platforms are light and corrosion resistant. The grip tape treads are standard, but we can also design them with serrated treads. 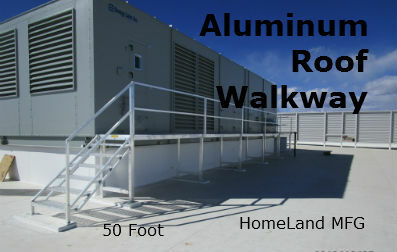 Depending on your applications we also offer a top walk off with chain or gate. 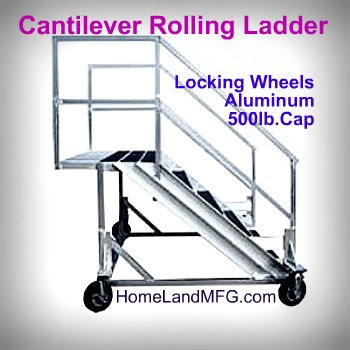 Aluminum Platforms with a deeper top platform and larger casters can be built. 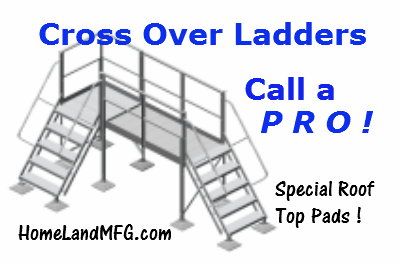 We can build to YOUR specifications or drawing. 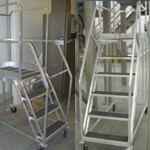 We build OSHA Safety Compliant too. 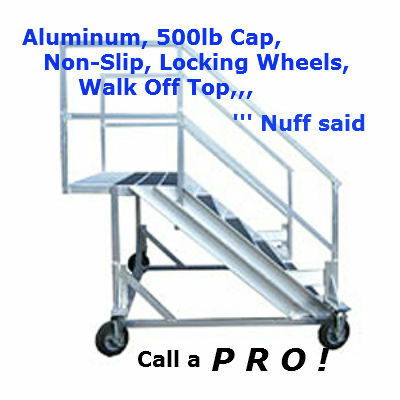 Call an Aluminum Platforms PRO. 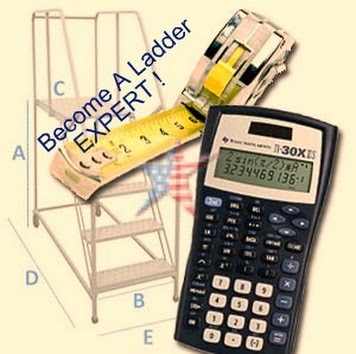 Ready to Give You An Estimate!